This book was so action packed, it literally never stopped! The amount of content in this series so far really is incredible, and the pacing is perfect for a fantasy novel, where the world needs detailed explanations. I was literally in shock after Part One, after which I thought the story went downhill, but about 100 pages from the end, man, did it pick up rapidly! Celeana certainly is one of the strongest protagonists I’ve read. I didn’t really get that from Throne of Glass but I think her strength was particularly apparent with how she picked herself back up in Part Two. She’s also such a complex character that it’s hard to pin point all of her characteristics. Of course she’s brave and determined – she is and assassin, after all – but she’s also fiercely loyal and this is probably going to come back to get her. Somehow, Celeana manages to be fragile and sensitive, like she needs to be protected as much as she needs to protect others. Although I’m yet to read the prequels – I will eventually, don’t worry – they’re not necessary for understanding Celeana’s motives because you learn about her past from her conversations with Chaol. This is one of the reasons why this series is quickly becoming a favourite; the backstory is so subtle. And not just Cel’s past, but the origins of the world only come to light when they’re necessary to the plot line. I am beyond excited for the Fae aspect of this story! I love some good faery fiction, and Crown of Midnight certainly revealed some interesting details about the folklore. I wonder whether the Faeries that used to rule over the world are the same ones that feature in Maas’ new series A Court of Thorns and Roses? Wouldn’t it be so awesome if they were? I was completely absorbed with the final portion of this book. It was big reveal after big reveal and none of them I saw coming. I have to commend Sarah J Maas for her absolutely amazing plot planning and detail, and I would be really interested to see her notes for the series. The relationships between characters, and the conflicting emotions are so realistic it adds a whole new depth to the series that I really wasn’t expecting. This series may be packed with plot and incomparable world building, but it’s also full of really three-dimensional characters that you genuinely have strong emotions towards. Basically Crown of Midnight has everything. It’s got romance, and mystery, also magic (whoop!) 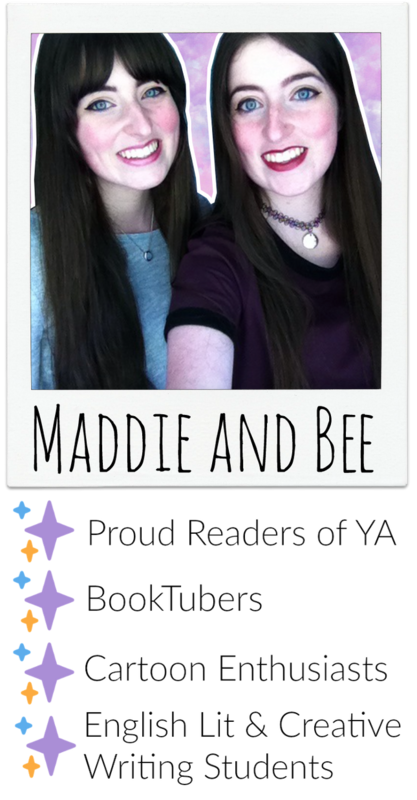 and betrayal (not so whoop!) My only complaint was that I really should’ve learned by now that when it comes to fantasy your favourite character is definitely going to be the first one killed. I couldn’t get through this review without mention the relationships at least once. In Throne of Glass I was Team Dorian all the way, I mean, who even was this Choal character? BUT NOW how could I ship anyone else other that Celeana and Choal? THEY’RE MEANT TO BE. It was always him of, course it was! I couldn’t have been happier about the progression in their romance, even if it did seem to come out of nowhere. If you’ve read Crown of Midnight then you’ll know that my happiness was short lived and the fate of Choleana (okay, so their ship name might not look very pretty, but…) was left hanging in the balance. Yeah, yeah she only did all that stuff to protect him and he only did all that stuff to protect her, but now Celeana’s being shipped off to a completely different part of the world and I’m supposed to be okay with that? I don’t think so! Dorian having magic is a game changer. I’m really looking forward to how this will progress later on in the series. As for Nehemia’s betrayal I don’t know how to process this – much like Celeana. It’s also probably going to change Celeana, and I’m not entirely sure this change will be for the better. 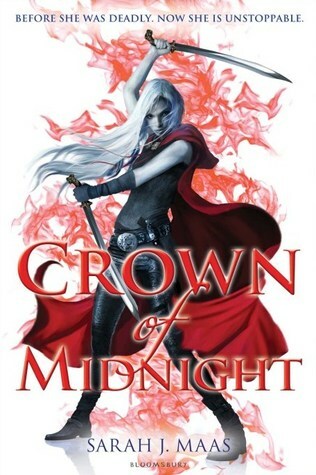 Overall, I enjoyed Crown of Midnight even more than the first book in the series. It was an action-packed adventure full of intrigue and mystery, and I absolutely cannot wait to get my hands on the next book. Celeana is awesome, as usual, but I really saw her character development in this novel. There were so many hidden truths and hidden depths that mad the writing super engaging, I had a hard time trying to put this book down. If you’re yet to start the series then I would recommend reading it straight away. And if you read Throne of Glass, and like me kind of wondered where all the hype was coming from, then pick up this book. I promise you will not be disappointed. 4.5 stars. Incredible.